This mod adds the new Foundry block which is used to recycle materials. The recyclable materials are those that can be obtained by melting in the furnace. If an object is built with recyclable materials then it can be smelted in the foundry to recover the materials of which it is composed. The non-recyclable parts of an object will be burned and will be lost. But beware: items containing fuels can cause fire, items containing gunpowder can cause explosions. From sand 3 pieces of iron turn out. I think this is cheat. Check what recipes can produce sand in your game, and likewise trace back their ingredients. You may have some utility recipe that is unexpectedly chaining with another recipe. Still a useful mod, but I'm encountering a bug in MC 1.12.2, GF 1.3.13. Stained glass does not melt back into glass. I was able to work around this by specifying all 16 colors of it in the config file under "smelting", but it should be a gimme. While I was at it, I added the colors of glazed terracotta, recipes to convert them back to plain terracotta. This is technically going outside the lines, but it seems a useful feature that's in the spirit of the mod -- you might want to make it a default. Best metod to dont looking for iron. From 1 sapling you heave 9 iron. Is it possible for you to open source this or to communicate with the maker of Advanced Chimneys in order to give them some capatability with one another? There is a bug where items that output an item with metadata fails. 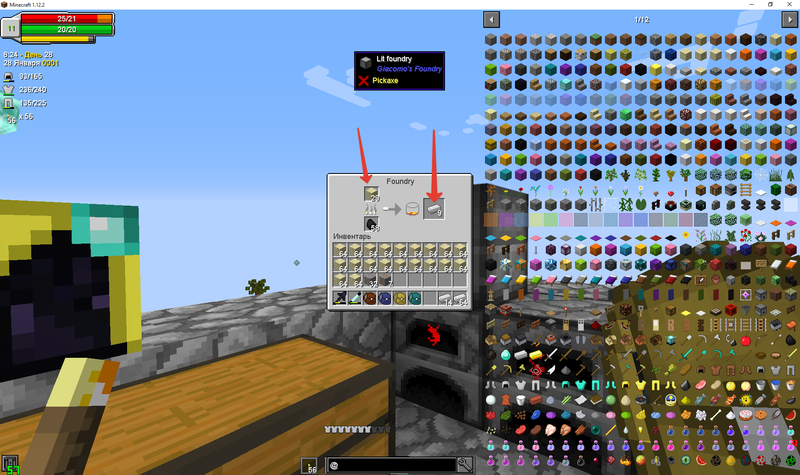 Does not work, I cannot smelt the enderio boots. Excellent mod, and as usual it's the first of my recycling methods to come online. I do note one bug: Intact chain armor "smelts" as per the defined recipe, but damaged chain refuses to smelt. I'm guessing the "user-defined" recipe doesn't cover damage handling? And another bug: Blood Magic's "lava crystal" (a magic-fed fuel substitute) doesn't work in the Foundry. ETF: Problem was with what I was trying to melt. While I'm at it: You should probably let the foundry accept iron nuggets, so that people can toss the occasional nugget into their accumulating total, and perhaps fill out an ingot. (haven't tested with gold). ETA: Yeah, it can be added in the config, I added it as "iron_ingot=0.111112", but it really should be a default. Alternatively, the foundry could drop nuggets whenever it runs out of fuel, but that would be a little awkward. Hi, I've done the translation of this mod into Spanish, I hope you like it. This is a nice mod. However, it would be GREAT if you had more ways of interacting with it. 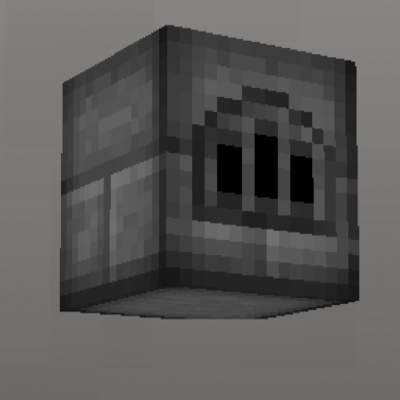 For instance, instead of a hopper above/underneath it adding/draining items, it could have the ability to connect with things such as Ender IO item conduits. Please consider donate something or join my patreon community. Hey Zacomat, thanks for the mod. I don't think I need to say that it's not working right. -Quark adding recipes for stone tools using flint in place of cobble. -Harvestcraft or some other mod that adds/changes bread recipe to include some form of grinding to flour. Thank you so much for updating to 1.12! Hi guys! Just uploaded the new updated version for 1.12.2!